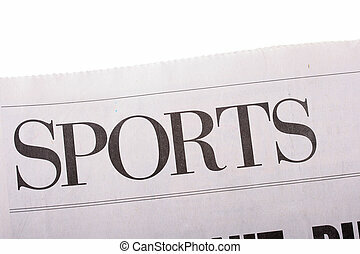 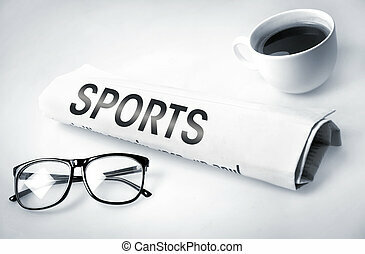 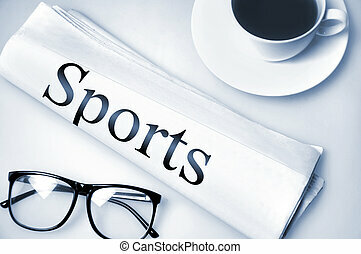 Word sports as heading heading in the newspaper. 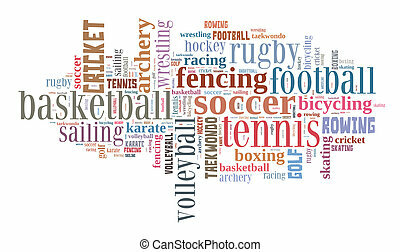 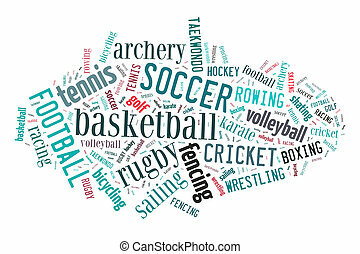 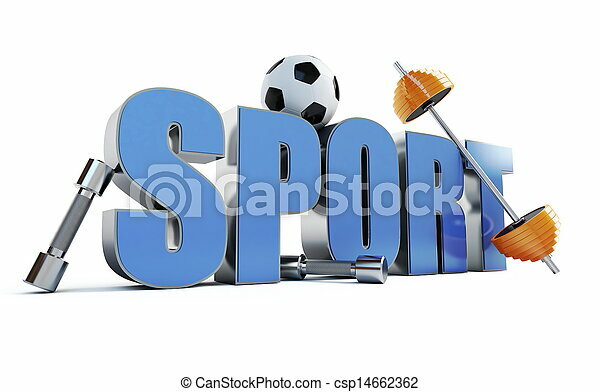 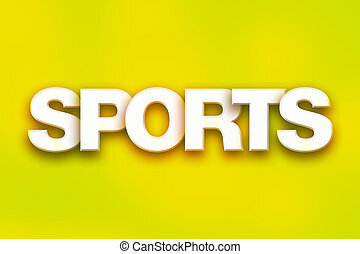 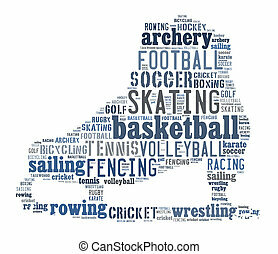 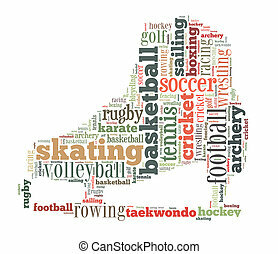 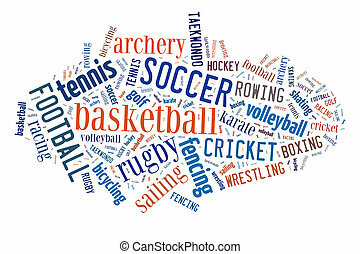 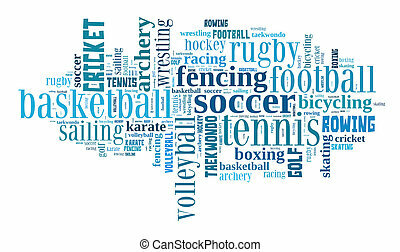 The word "Sports" written in white 3D letters on a colorful background concept and theme. 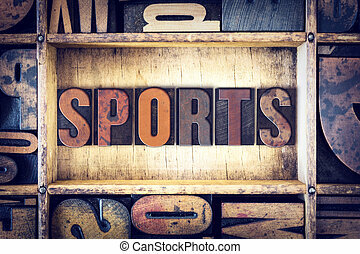 The word "Sports" written in vintage wooden letterpress type. 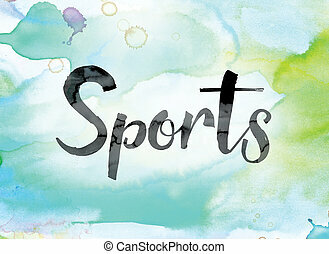 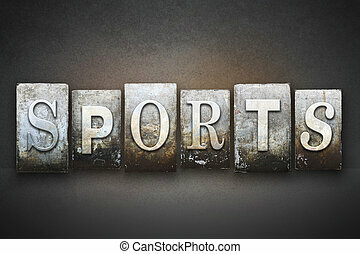 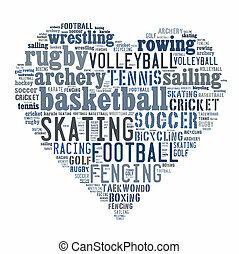 The word "Sports" painted in black ink over a colorful watercolor washed background concept and theme.